EDICIÓN ORIGINAL: 100 Bullets núms. 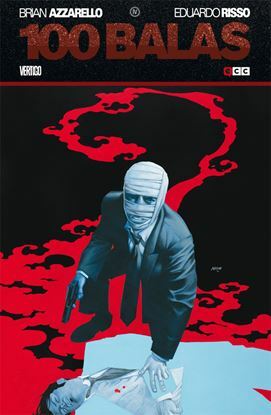 11 a 20 USA || FECHA PUBLICACIÓN: Febrero de 2014 || GUIÓN: Brian Azzarello || DIBUJO: Eduardo Risso || FORMATO: Rústica, 240 págs. A color. EDICIÓN ORIGINAL: 100 Bullets núms. 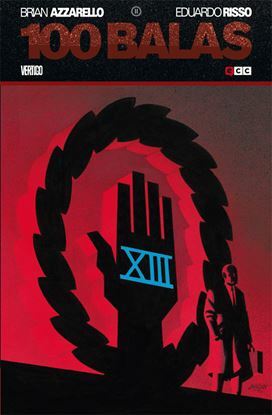 21 a 30 USA || FECHA PUBLICACIÓN: Abril de 2014 || GUIÓN: Brian Azzarello || DIBUJO: Eduardo Risso || FORMATO: Rústica, 240 págs. A color. EDICIÓN ORIGINAL: 100 Bullets núms. 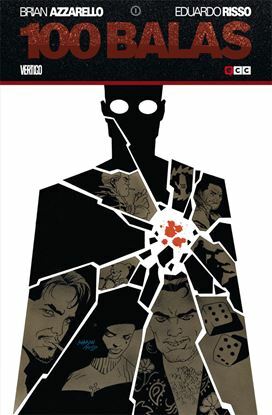 31 a 40 USA || FECHA PUBLICACIÓN: Junio de 2014 || GUIÓN: Brian Azzarello || DIBUJO: Eduardo Risso || FORMATO: Rústica, 240 págs. A color. EDICIÓN ORIGINAL: 100 Bullets: Brother Lono núms. 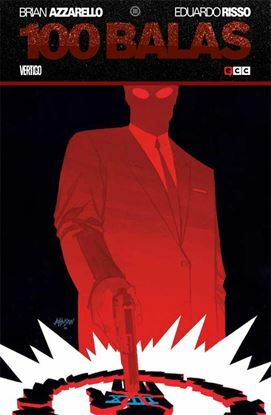 1 a 8 USA || FECHA PUBLICACIÓN: Mayo de 2014 || GUIÓN: Brian Azzarello || DIBUJO: Eduardo Risso || FORMATO: Cartoné, 192 págs. A color. EDICIÓN ORIGINAL: 100 Bullets: Brother Lono núms. 1 a 8 USA || FECHA PUBLICACIÓN: Mayo de 2014 || GUIÓN: Brian Azzarello || DIBUJO: Eduardo Risso || FORMATO: Rústica, 192 págs. A color. EDICIÓN ORIGINAL: Fairest 1-6 USA || FECHA PUBLICACIÓN: Diciembre de 2012 || GUIÓN: Bill Willingham || DIBUJO: Mark Farmer, Phil Jimenez, Stephen Sadowsky || FORMATO: Rústica, 136 págs. a color. EDICIÓN ORIGINAL: Fairest 7-13 USA || FECHA PUBLICACIÓN: Junio de 2013 || GUIÓN: Lauren Beukes, Matthew Sturges || DIBUJO: Inaki Miranda, Shawn McManus || FORMATO: Rústica, 160 págs. a color. EDICIÓN ORIGINAL: Fairest núms. 14 a 20 USA || FECHA PUBLICACIÓN: Enero de 2014 || GUIÓN: Bill Willingham, Sean E. Williams || DIBUJO: Barry Kitson, Russ Braun, Stephen Sadowsky || FORMATO:Rústica, 152 págs. A color. EDICIÓN ORIGINAL: Fairest: In all the land USA || FECHA PUBLICACIÓN: Junio de 2014 || GUIÓN: Bill Willingham || DIBUJO: Adam Hughes, Al Davison, Chris Sprouse, Chrissie Zullo, Dean Ormston, Fiona Meng, Gene Ha, Inaki Miranda, Karl Story, Karl Kerschl, Kevin Maguire, Kurt Huggins, Mark Buckingham, Marley Zarcone, Meghan Hetrick, Ming Doyle, Nimit Malavia, Phil Noto, Ray Dillon, Renae De Liz, Russell Braun, Shawn McManus, Tony Akins, Tula Lotay || FORMATO: Rústica, 160 págs. A color. EDICIÓN ORIGINAL: The Saga of the Swamp Thing núms. 20 a 27 USA || FECHA PUBLICACIÓN: Marzo de 2014 || GUIÓN: Alan Moore || DIBUJO: Dan Day, John Totleben, Rick Veitch, Stephen Bissette || FORMATO: Cartoné, 208 págs. A color. EDICIÓN ORIGINAL: The Saga of the Swamp Thing núms. 28 a 34 y annual núm. 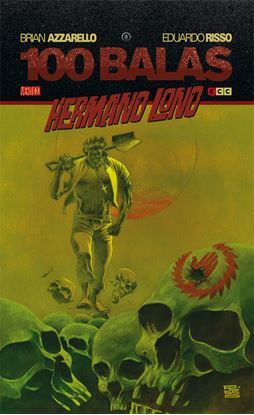 2 USA || FECHA PUBLICACIÓN: Mayo de 2014 || GUIÓN: Alan Moore || DIBUJO: Alfredo Alcala, John Totleben, Rick Veitch, Ron Randall, Shawn McManus, Stephen Bissette || FORMATO: Cartoné, 224 págs. A color.